"Do what thou wilt shall be the whole of the Law." This oft-misunderstood phrase, which forms the basis for Crowley's practice of Magick, is found in The Book of the Law. Dictated to Crowley in Cairo between noon and 1:00 p.m. on three successive days in April 1904, The Book of the Law is the source book and key for Crowley students and for the occult in general. "Liberty stirs once more in the womb of Time. . . The "abnormal" man who foresees the trend of the times and adapts circumstance intelligently is laughed at, persecuted, often destroyed by the herd; but he and his heirs, when the crisis comes, are survivors." 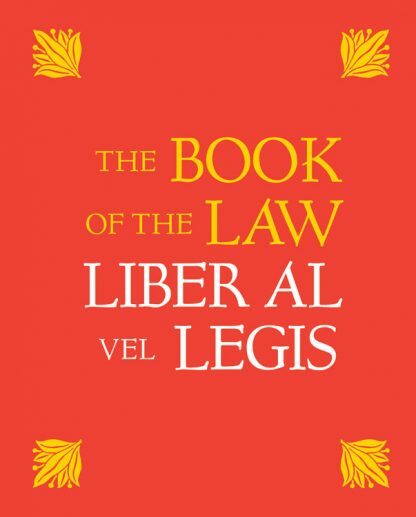 For the first time, The Book of the Law is offered in a deluxe, hardcover edition fittingly issued in celebration of the 100th anniversary of Liber AL vel Legis's transmission to Crowley. The holy text that forms the basis of Crowley's belief system, Thelema, was transmitted to him by the entity known as Aiwass over the course of three fateful April days in 1904. With his wife Rose as the medium for what would become known as the Cairo Working, Crowley dutifully transcribed the communications on hotel stationery. The deluxe edition of The Book of the Law features new scans of the original manuscript, with Crowley's notes and annotations found in later drafts of the work. It also contains new material from variant editions and an introduction by Hymenaeus Beta XII- head of Crowley's legacy order, the OTO.